Educating in the 21st Century: First WHY, then WHAT! 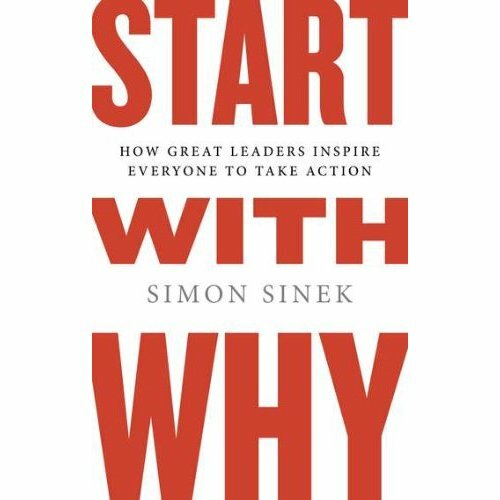 I am currently reading Simon Sinek's (@simonsinek) book, 'Start with Why - How Great Leaders Inspire Everyone to Take Action'. In it, he stresses 'that people don't buy WHAT you do, they buy WHY you do it.' This has got me thinking a lot about how this applies to teachers, students and how students don't buy WHAT teachers do, they buy WHY they do it. Consider Sinek's ideas in the classroom. Telling students WHAT to do (or even HOW to do it) isn't enough on its own to generate long term motivation. Instead, teachers who communicate WHY...the values and beliefs inherent in WHAT they are asking students to do are more likely to inspire long term action on the part of their students. As educators we must be mindful of this. We communicate to students a lot about WHAT challenges will look like and HOW they can go about accomplishing them. The WHAT involved in any particular challenge may interest and engage a certain group of students but it likely won't interest all students and definitely won't contribute to any lasting engagement. If our goal is to engage students in meaningful tasks, we must communicate the WHY! For learners, understanding the WHY is what creates the meaning in a task. In the classroom, we are the leaders! Our ability to consistently motivate, inspire and convince students to do what is asked of them comes in large part from whether we communicate the reason(s) WHY we do WHAT we do! Our WHY'S should include explanations such as 'caring about students', 'wanting what is best for them in the present and their futures' and 'doing what is in their best interest'! Of course, these are not words we can say just once and expect they will believe. We must remind them of our beliefs and convince them through our actions! It is through our consistent words and actions that we tap into our students' emotions and build the loyalty and trust we all hope to create with our students. Once we've established our students' trust and loyalty, they will go beyond our expectations and agree to challenges even when they know they may not be to their liking. Each of us can recall stories of specific students who truly seemed to work for us, regardless of their ability, the level of challenge or their fondness for a task. They are great examples of students who obviously bought into WHY we do WHAT we do! Through consistently supportive words and actions we demonstrate how much we care about our students. Once we establish trust and loyalty with them, they appear even better, more committed students. They consistently complete tasks when assigned to them, follow through on instructions and embrace challenges even when they know it will require considerable effort. Rather than questioning the logic behind completing such difficult challenges, their rational brains generate reasons to justify WHY they should embrace these challenges. People may refer to all this as building rapport while others may call it fostering relationships. Most importantly, they both rely on a foundation of trust and loyalty that has been established by teachers who emphasize WHY before WHAT! So the next time you catch yourself describing to students WHAT they are about to do, I urge you pause and consider whether you have emphasized WHY they should do it! Here is clip of Sinek's TEDx Talk. I love your perspective of creating our WHY to engage the students in meaningful tasks. Students don't care how much you know until they know how much you care...our WHY, right? I've been doing a math educators' workshop using the same theme. 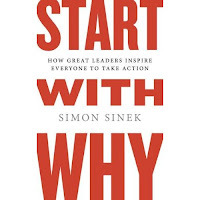 How often do we start with the "what's" and never get to the "why's"? I think this happens for two reasons. First, we know the 'WHY' in our minds because we have walked through it in our heads many times and experienced it as students, ourselves. Second, I find the curricula for most courses is jam-packed, offers little flexibility in terms of pacing and consequently teachers feel they must simply 'cover' more and more content. Not that it's an excuse but the pressure that this places on teachers can contribute to forgetting the 'why'. Ironically, when teachers take the time to explain the 'why', student engagement increases and more learning occurs. 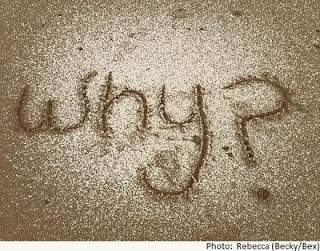 I also want to ask "why".I have been trying to find the answer.